It's the day after National Running Day. I hope you all were able to clock some distance on the treadmill or pavement. I had a few friends give running a go yesterday and determined it wasn't their activity of choice, and that's ok. Do what you enjoy and it will become a lifestyle vs. a chore! IF running is your avenue then today's post is for you. I received a pair of Profoot Triad Orthotics in my recent Influenster Go Vox Box. I've been using them for about 2 weeks now to give you all a true working review. Find out if I give them a thumbs up or thumbs down after the break. The insoles are light weight and flexible. They come in a 3/4 length design to allow more flexibility at the toes, which I found helpful considering you are in toe off ( sorry, the therapist in me) during much of your running cycle. The Feel They are made with vita-foam technology yielding 3 zones of cushioned comfort. I don't have any knee, leg, or back pain so I can't attest to the effectiveness of relieving that but I do suffer from shin splints occasionally so I'd be interested in seeing if they help keep those at bay. I'd say that they feel supportive enough that if you can't afford new shoes but can afford new insoles, these would buy you some time. 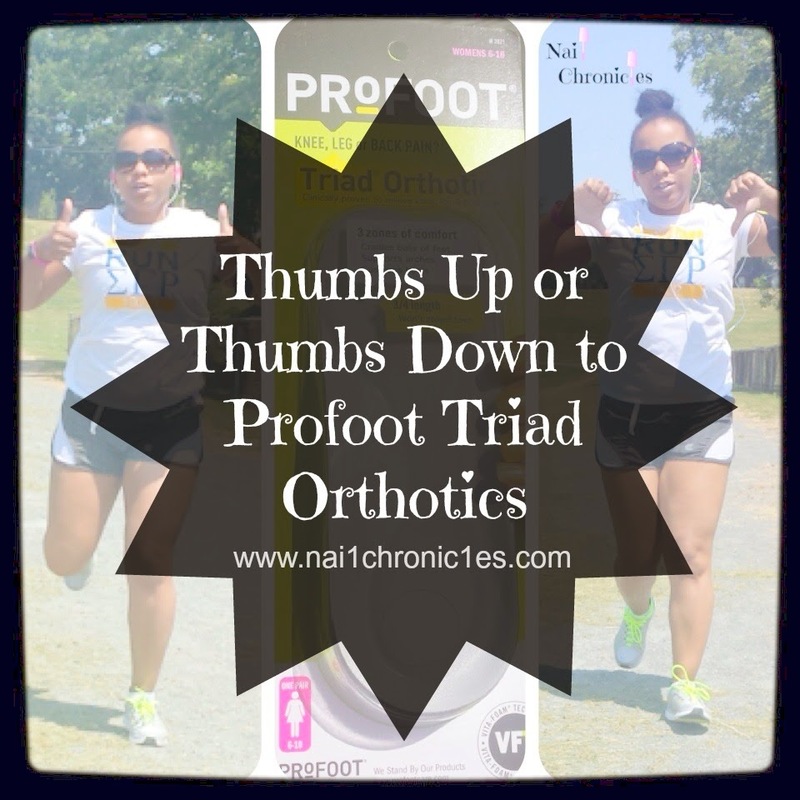 You can purchase the Profoot Triad Orthotic at Walmart, retailing at $4.87. You can also find them on Twitter and Facebook. To see what other goodies I got in my Vox Box, including Profoot's AH-MAY-ZING Pedi Rock, click HERE!